Chloé's blouse is a beautiful example of the way Natacha Ramsay-Levi conveys power and strength through femininity. Made from delicate cotton-blend lace, this romantic style is cut to loosely skim your silhouette and tempered by a silk-georgette camisole. Allow the turtleneck to peak out beneath an unbuttoned dress. 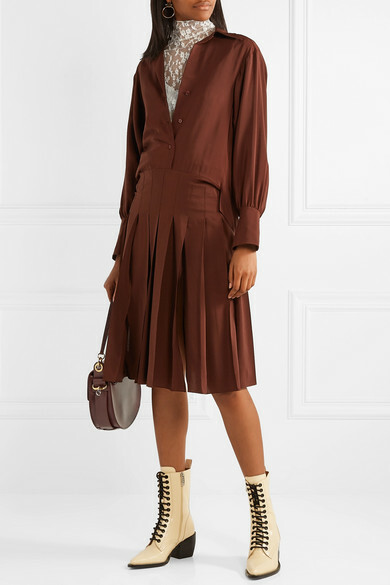 Shown here with: Chloé Dress, Chloé Shoulder Bag, Chloé Ankle boots, Chloé Earrings.